Kindle And Me...: Divergent Choosing Ceremony Game! Which Faction Do You Belong To? Divergent Choosing Ceremony Game! Which Faction Do You Belong To? 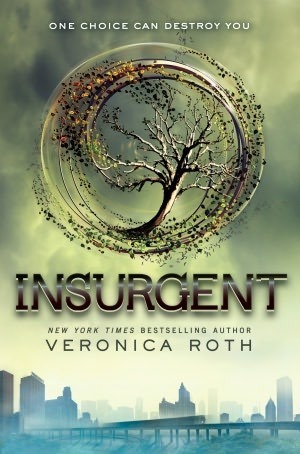 Insurgent (Divergent, #2) by Veronica Roth. Published On : May 1st, 2012. 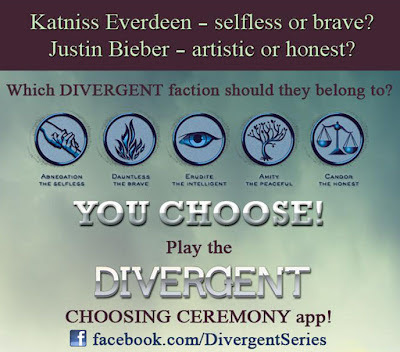 To make the wait for Insurgent easier, Harper Collins has come up with a Divergent Choosing Ceremony Game/Facebook App. What about you? Check it out and try to guess which faction you and your friends would belong to.